Sustainability is crucial to the continuing growth of the cruise industry, which needs to “behave as an important sector” according to Ann Sherry, executive chair of cruise line Carnival Australia. 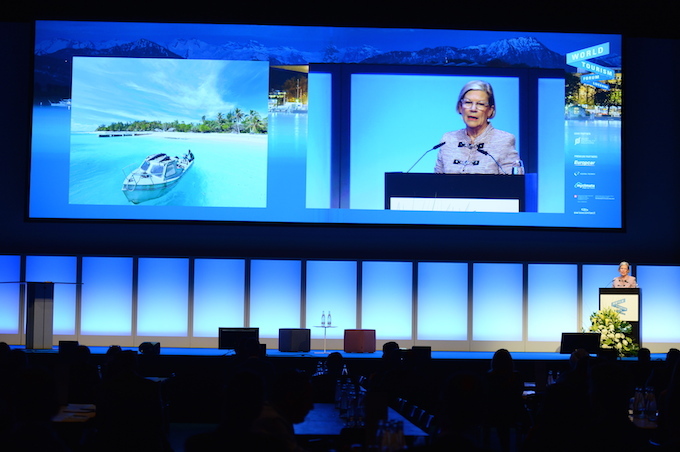 Speaking at the World Tourism Forum in Lucerne earlier this month, Sherry said it wasn’t good enough for “big white ships to just turn up and sail away”. Sherry said other areas of the travel and tourism industry needed to measure the impact that their activities have had on destinations too. Sherry said she could demonstrate the benefits of cruising to South Pacific island communities where more tourists arrive by cruise ships than by air, and where local people have built businesses based on the patronage of the cruise industry. Sherry said many of the communities visited were aid dependent, and the cruise line could demonstrate how communities in Papua New Guinea and the Solomon Islands had been lifted out of poverty and given educational opportunities.